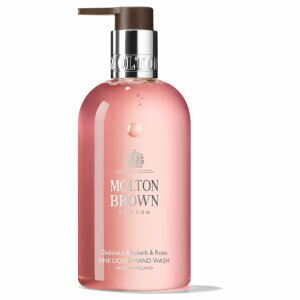 Replenish dry, hard-working hands with Molton Brown's Rhubarb and Rose Hand Cream; a delicately scented formula that works to soften and condition without greasy or sticky residue. Infused with White Truffle Extract, the lightweight cream absorbs quickly into skin to moisturise and rejuvenate, whilst enveloping hands with a luxurious fragrance of tantalising Rhubarb, Rose, Yuzu and Grapefruit. Hands feel smooth, supple and revitalised.